The history of Darksiders on Nintendo platforms dates back to 2012 when Darksiders II was released on the Wii U as a launch title. Years later, at the very end of the system's life, THQ Nordic followed up with Darksiders: Warmastered Edition. Once this comment was posted, the series' publisher THQ Nordic stepped in to talk down the possibility of the games coming to Switch and then claimed how the Darksiders account wasn't making any sense. The conversation went downhill from there, with the two accounts engaging in some friendly banter. Darksiders III is the most recent entry in the series and was released on the Xbox One, PlayStation 4 and PC last November. Compared to existing entries, this new one has been compared to the Dark Souls series. Considering the Wii U has already received the second game and Warmastered, it would be lovely to see the latest one make its way across to the Switch. Would you like to see the latest game in this series come to the Switch? 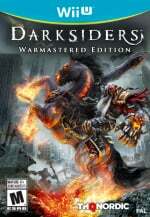 Would you be happy with a Darksiders game in general on the hybrid platform? Tell us below. I had two on the Wii U and really enjoyed it tho I never got round to buying number one before selling the console. I’d be down for some more Darksiders on the Switch. I actually heard the game is very modest technically so I hope that equals a smooth porting job. I really love the Darksiders games I played on the Wii U- but they were buggy to the point it broke the game a third of the way through the Warmastered edition for me. Never completed the game as I continually levitated off the floor and could no longer damage the boss I was fighting. I loved Darksiders II for the WiiU.....a great game. I would very much like it to come to the switch! Ahh that would be awesome! Do a trilogy. That would be the best way to move sales. Not only that, but people wouldn't be complaining about the price (Watch & learn, Nintendo.). I've never played them but I hear good things so it would be great to have them ported! Pretty please! I heard that this game is a bit less compared to Darksiders 1 and 2 (and I have yet to complete both), but they certainly are welcome! Oh, and the whole game on the card please! I would rather get the first two games as a collection, than the third one. I'd buy them buggy or not. They've sold the first two off so cheaply in the past that a budget release of those is foreseeable, but probably not physical. 3 will probably come eventually. @Balta666 Yeah, but I'm certain Gunfire wouldn't want to come under fire (not a joke, I swear) for selling old games at full price. It's the reason I'm mad at the Wii U ports. I mean, DS3 at $60? I'll let that slide, since it only came out recently. 1 & 2 for $60 each? That's past my boiling point, especially since DS1 Warmastered on Wii U was a budget title. But tbh with you, I don't think they'll release 1 & 2 separately for $60. My prediction is they'll bundle 1 Warmastered and 2 for a budget price, then release 3 for $60. Watch and learn, Nintendo, watch and learn. If I made this too long, please understand. Comparing Darksiders 3 to God of War and Dark Souls is a bit like comparing the Nokia N-Gage to the Switch. It's worth buying cheaply if nothing else is being released but is average at best. No thanks. That game is absolutely awful. Nah. That world of warcraft art design looks crap to me. Don't see the appeal in the gameplay itself either. The series is marketed very well though. As someone not interested I have been hearing about this series for years, so my conpliments to the publisher. Switch is getting better and better with 3rd party support. Would love Red Faction Guerrilla on the go. I would love for all 3 to come to the system! I play Darksiders: Warmastered Edition on my Wii U, but I never completed it, but it was quite fun! Hmm I’d buy it if they put it on Switch. Buying games for the twins is a wait for deep sale endeavour cuz i never get chance to play them anyway. I’ve been dying for Darksiders to come to Switch since day one. Am I the only one around here who thinks it's weird the 3rd one being 'Fury' instead of 'Pestilence' or 'Famine'? I just finished the WiiU version if Darksiders II in December. I enjoyed it but don't really have a strong desire to play another one. I'm not even sure why, it just didn't really leave me wanting more. It also had some DLC included but I couldn't complete it because of a bug that didn't give me all the abilities I needed to actually complete the DLC. @maruse This is the same company that said, "We're going to release Darksiders Warmastered Edition for Wii U, but not until several months after the Switch launches!" Everyone laughed and wondered by they don't just admit they canceled it. Well, my god, they really did it! So you never say something is too crazy for THQ Nordic. THQ talking down resulting in a friendly banter. Me: "OK. Keep your secrets". I have Darksiders: Warmastered on the Wii U backlogged but do intend to play it soonish. I'd be fine if at least the first two made it to the Switch. I'm not sure if III would be a possibility just yet. Oh, ya. We all knew this was just a matter of time. The first two would be fantastic (_especially Darksiders 2). Not sure about the 3rd unless they passed off the job to someone else with experience. I’d be happy with any of them on Switch, though. Personally I found DS3 to be the weakest of the bunch, but it’s still a pretty good game. Just... lost that Zelda/Diablo-like appeal. Enjoyed DS:3... still think the art style suffered from not having Joe Madureira - but it was fine. Also, loved that enemies packed a punch! But played all 3 - And have them in my Steam collection. No need to buy them again on Switch. Just release a trilogy edition. That way it would be okay for me to pay a price tag similar to Nintendo original releases. Nice to have on board like everything else. Really not my thing at all though. Having all three on Switch would be amazing. I’d slap my money on the for that. I didn't get 3 yet but I might wait to get it on Switch if it's more than a rumor(PS4 if it doesn't). Was it a lot harder than 1 & 2? Trilogy to the Switch please! I remember Darksiders II on Wii U. It was an almost perfect port except there were bugs that wouldn't let me leave certain areas. I'd rather see these get missed out from the switch and kingdoms of amalur get remastered. Prefer darksiders 1 personally, but it would be great to see all three running on switch. Optimised properly for the hardware. I've rinsed darksiders 1 & 2 on both the ps3 and ps4 and I'll be playing through 3 once I've got through kingdom hearts. However if THQ do bring them to the switch they are definitely worth picking up. Considering the less-than-stellar reception it had on other platforms, do we really want it? Having played thru all 3 multiple times this is great news. Even though I have them if they bundled them together for the switch I would double/triple dip on it. Really enjoy the series and hope we get a fourth! It's also true that none of those comparisons have been favorable to Darksiders. @SetupDisk i think it can easy be done on Switch. They not done much with the graphics. And it be a great game for it. The enemies are agressive and pack a punch. They also team up on you. For me it reminded me more of Ninja Gaiden. You just need to keep in mind just about anything can put up a fight. That is a very good point. Played GOW 4 recently and that’s a quality game. I got the first one on Steam and never finished it. It felt clunky and the difficulty spikes were nuts. Most games gradually get harder, but I found this one just suddenly dropped it on you with no warning. 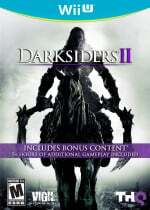 I purchased the Darksiders 2 from the Playststion store a while back and really enjoyed it. Keep the ports flowing Nintendo! They are. They’ve watched some people on the internet complain about the prices of things like DKC:TF, MK8D and NSMBUDX and learnt that lots of people go and buy them. Big learning point for them there. 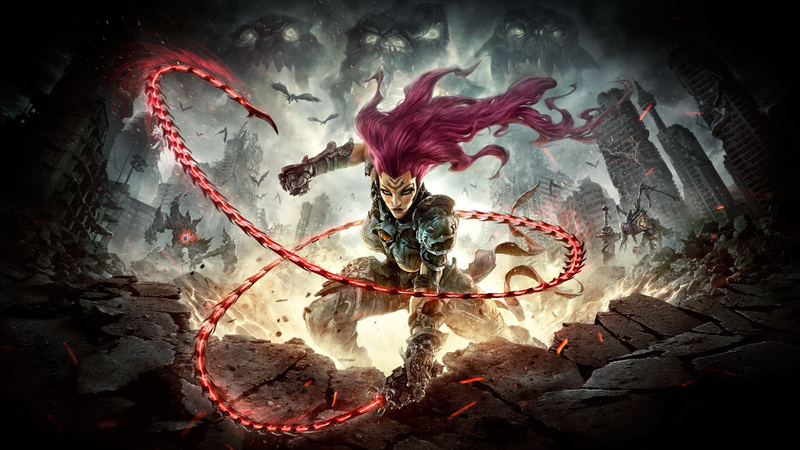 THQ Nordic should have pushed Darksiders 3 to May 2019 and launched it on all platforms - Switch included. It would have at least found a modicum of success that way rather than flopping spectacularly. It's too late now. Darksiders is dead, and a late Switch port of any of the entries won't save the brand. Do it!!! I’m playing through D1 on U while Smash Brothering, but damn that Stygian!? I must be doing something wrong, I haven’t even been able to knock his helmet off yet. !